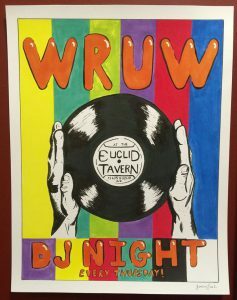 Grab some dogs and dig some tunes with WRUW every Thursday between 8 PM and midnight at the new Happy Dog at the Euclid Tavern! Up this week, Charles of On the One reunites with his former co-host Franklin for a DJ battle of James Brown vs. Prince!